Get involved and share your classroom highlights weekly! This entry was posted in HOMEPAGENEW on October 28, 2018 by Susan Ward. Pedagoo sits alongside TeachMeet as a practice-sharing, not-for-profit movement run by teachers for teachers. 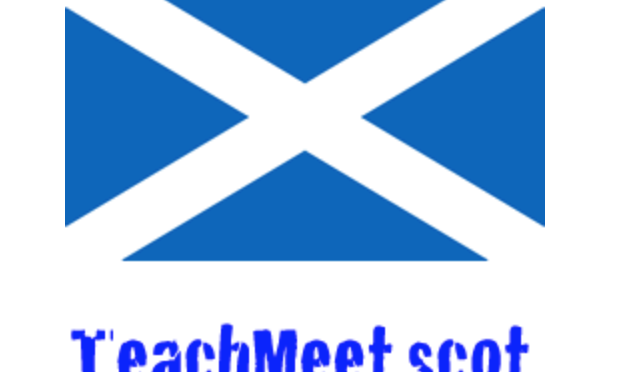 Hop over to teachmeet.scot to learn more about TeachMeet and how you can get involved. This entry was posted in HOMEPAGENEW and tagged about on October 28, 2018 by Susan Ward. At Pedagoo, we see our community as sharing similar principles and goals as the TeachMeet movement. In fact, many of us have met through attending, presenting at, or even organising, TeachMeets. We’re therefore primarily trying to add a bit of variety and organise TeachMeets with a difference. Pedagoo events are fun, focus on community building as a key outcome and take a constructivist approach to professional learning – in other words, rich dialogue between “presenters” and “participants” is a key priority in the planning of our events. Whereas the majority of TeachMeets tend to primarily have a combination of 7 or 2 minute presentations, Pedagoo events take a longer ‘Learning Conversation’ approach, normally in the region of 40 minutes in length. As well as the rich learning which take place on the day, Pedagoo events also aim to keep the conversation going by growing, and encouraging sharing through, our online community via Pedagoo.org and #PedagooFriday. takes a longer format approach to sharing (i.e. primarily 30/40 minute Learning Conversations/Workshops as opposed to all 7/2 minute presentations – we’ve got nothing against TeachMeets, we’re just trying to add a bit of diversity to the mix). is open to teachers from anywhere, even if primarily aimed at one particular area/local authority. Wee Pedagoo is the pocket-sized version of Pedagoo. Small but perfectly formed, a Wee Pedagoo event is about carving out a wee space for a very big conversation. Set the topic, grab some teachers and spend an hour talking about what really matters. One creative conversation that packs a real punch- where will your Wee Pedagoo take you? Teachers who want to build their professional learning networks and talk about the big picture. Perfect for squeezing into busy schedules, a Wee Pedagoo event is the fuss-free option for teacher collaboration that fits around you. No bells, no whistles, just sharing. There are no presenters, no timers and no name badges- it’s all about one conversation. You can hold a Wee Pedagoo in your staffroom, in the pub after work, in your favourite coffee shop or down the local park- anywhere that teachers from within and beyond your school can get together and talk! We will help you promote your event online and connect you with other #weegoo organisers just like you. You can also use our cool downloadable logo to share your event and keep the conversation going! Sounds amazing, how do I get started? Brilliant! Complete the quick form below to tell us where and when you are holding your Wee Pedagoo and what your topic question will be! Pedagoo is a growing community of teachers collaboratively supporting, encouraging and sharing innovative and effective approaches to teaching and learning. We aim to improve outcomes for our young people through positively and professionally sharing our practice. If you’re on twitter, check out our hashtag #PedagooFriday. Every week teachers share the highlight of their week from their classrooms with this hashtag. It’s a fantastically positive way to end the week and a great way of sharing ideas. We also run Pedagoo events and so can you! Pedagoo events focus on providing a fun opportunity to learn from each other and further develop the community. Check out pedagoo.org/events for more information on how to attend an event or run one of your own. The Pedagoo logo is based on a shape originally created by [SPLASH-!T]. This entry was posted in HOMEPAGENEW, Pedagoo and tagged about on October 28, 2018 by Susan Ward. And so we have reached the last week of term. I wonder if you, like me, have an advanced case of end-of-term-itis. This is a worryingly infectious condition that affects millions of teachers at this time of year. There are a few tell-tale symptoms. Most notably; not sleeping, panicking about your to-do list, scraping children off the ceiling at every turn and feeling like time has simultaneously slowed down and speeded up. If you work in a primary school, you will also have the exciting additional bonus of having all that brain noise and energy-sapping activity set to one particular Nativity song (usually the most irritating one), which will be playing in a continuous loop inside your head, day and night. The only known cure for end-of-term-itis is the Christmas holidays, which will very soon be upon us. And whilst I am looking forward to the chance to rest and relax as much as you must be, I am also worried about how fast this year has gone. The months seem to have slalomed into each other like drunken dodgem cars, resulting in a huge December pile up of events and experiences. The velocity of each collision is often set by the media, which seeks to hype each season’s main event months early. Halloween costumes go on sale in August, Christmas decorations in October. I saw the first headline crowing about the must see films/bands of 2017 back in September. Every shared celebration in our calendar is brutally marketed and fuelled by the inexhaustible determination to extract as much money from it as possible, over the most protracted period possible. The effect of all this is the normalising of speed. We live in a society that is addicted to perpetual motion. We are forever hurtling headlong towards the next big event and when we get there we are hustled past it, our wallets emptied as we rush through and on to the next. But the thing is, living our lives at such a tilt doesn’t just knacker your bank balance, it affects everything else too. When speed is king, everything else suffers. I wrote a while back about the danger of busy in the classroom for students and learning and the danger is no less real for teachers, families and school leaders; too much, too fast is toxic. Now, those clever marketing folks have spotted this too and so to combat (and profit from) the endemic stress and busyness of our lives, they sell us back our free time in the form of adult colouring books and expensive holidays, spa retreats and mindfulness classes. But here’s the thing; there is another way. How about if we all just decide to take back the control? Let’s wrestle the remote from the hands of the moneyman and prise his finger from our fast forward button. And let’s choose to hit pause. Do it now, do it right now. Whatever you are doing as you read this, choose to hit pause. Just let yourself stop everything, choose to make it all wait, just for a little bit. There. Doesn’t that feel good? Now that you are stopped, you can turn around. Stop facing forward and turn, just for a minute, and look back. Because that’s what really matters. It is the only thing that really matters. Everything we do as humans is about learning. 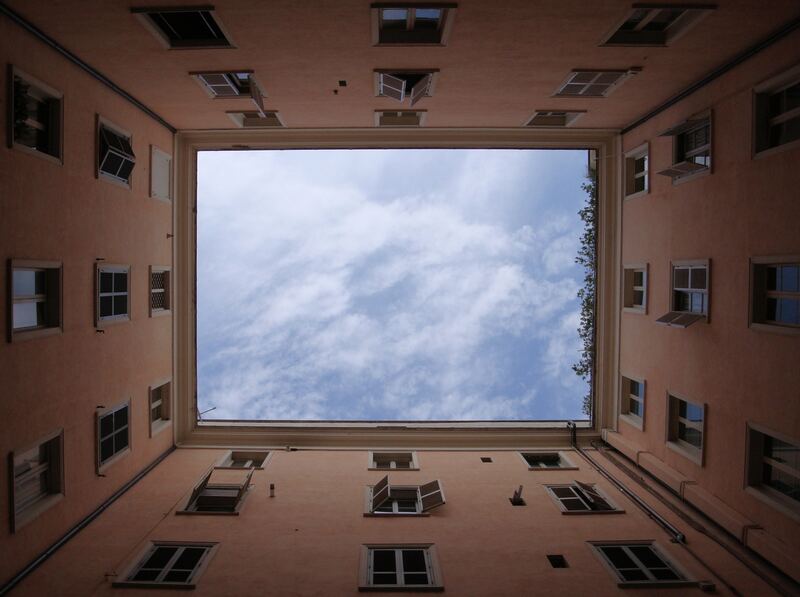 It is how we make sense of our experience of the world. And if we are moving too fast, we miss it. As a teacher, it is your job to hit the pause button for your learners and give them time to wallow in what matters. And as a teacher, you must do the same for yourself, because the difference between an excellent teacher and a busy teacher is simply who is in charge of the pause button. If you don’t have the ability to know when to stop or slow things down so you can work out what you are learning, you cannot be an effective teacher. So do your own review of the year and dinnae fash yersel about the ‘must see’ movies you didn’t see or the ‘must hear’ bands you’ve never heard of. Think about your own ‘must see’ moments instead. There’s a nifty little hashtag where you can share those highlights called #PedagooFriday. Look forward and plan in your pause times. Plan in when you are going to step back and stop and look and wonder and think and inspire and imagine and have fun and share what you do. Pedagoo events and Teachmeets are built around the pause button and there’s one happening near you in 2018. Most importantly, reflect on who is in charge of your remote control. Because if it is not you then you need to get that sorted. Wishing you a speedy recovery from end-of-term-itis and a pause-filled and peaceful Christmas and New Year. This entry was posted in Pedagoo on December 17, 2017 by Susan Ward. I was at child protection training today. It is never the most enjoyable of training experiences but clearly, it is essential we do it. The presenter urged us to be ‘professionally curious’. To wonder why a child is presenting to us in the way that they are. I have also been busy recently finding out about digital citizenship and how to take the next steps with this within my school setting. As part of my information gathering, I watched the very inspiring Devorah Heitner talk about how, if we really want to find out about what children are doing online, we need to get curious about what makes them tick and what motivates their online behaviour. Why does he take three pieces of bread with his lunch every day? Why does she hide her phone when adults walk past? Why does he kick off every Tuesday afternoon right before PE? Why is she so focused on getting full marks on this test? Why is his head down today? Find out the answer to that and you will find out everything you need to know to help that child. To be good at what we do, we have to wonder why. I wonder what would happen if I changed this…. 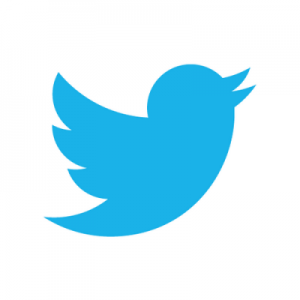 I wonder what it would be like to…. 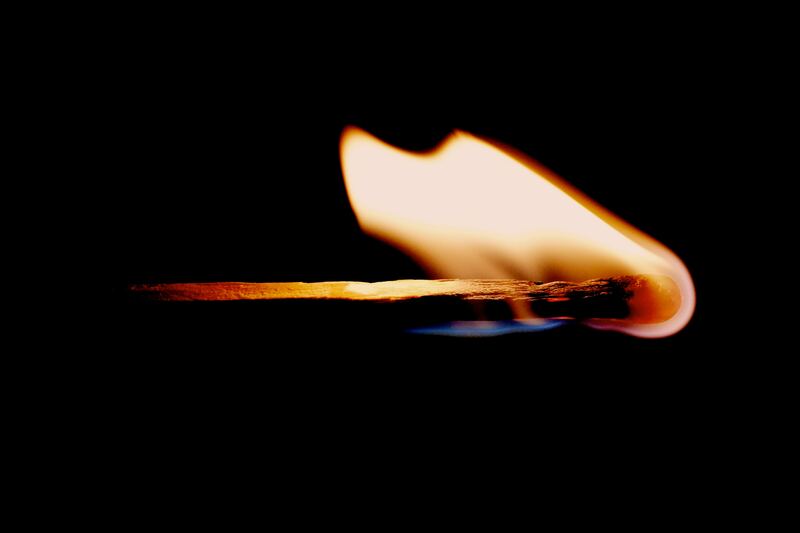 These questions are highly flammable; they ignite learning. If you want to be good at what you do, you need to keep these questions in your back pocket and use them like lighter fluid; spray liberally in amongst the orderly and carefully stacked dry wood of your usual routine and then strike a match. Throw a question in and watch it light up your practice. And then be ready to kindle the flames. Because there’s no point in letting your curiosity be a flash in the pan. If you’re going to go to the effort of asking the hard questions, you need to be ready to stoke the learning and keep it burning. And that means spreading the good word. Put another way, you need to make your curiosity contagious and infect everyone you work with. Make the flammable questions part of everybody’s daily business and you build a fire so big and so bright it becomes unstoppably brilliant. There are lots of ways you can get going. Ask a flammable question in the staffroom. Write a blog post or start keeping a little journal of your wonderings- it doesn’t matter what your why is, it just matters that you ask it. Get to or organise a TeachMeet and surround yourself with curious people just like you. You might even be heading to the glorious Pedagoo Muckle this weekend. This will be a proper solid tinderbox of an event, stuffed full of curious and inquiring people and questions who together will burn bright and kindle others as they go. Kindle others when you get back to school. And always remember it is our job to push back the dark. This entry was posted in Pedagoo and tagged #PedagooFriday, #PedagooMuckle on November 10, 2017 by Susan Ward. Talking about teaching and learning is a magical thing. Get a bunch of teachers together and they spark off one another like pieces of flint. Inspiring, creative, curious conversations happen that lead to practice-changing ‘I-never-thought-of-it-like-that-before’ moments. This much we know. We also know teachers are busy. Crazy busy. So how are we supposed to make space for all this sparky flinty goodness in amongst the noise of everything else that happens in schools? 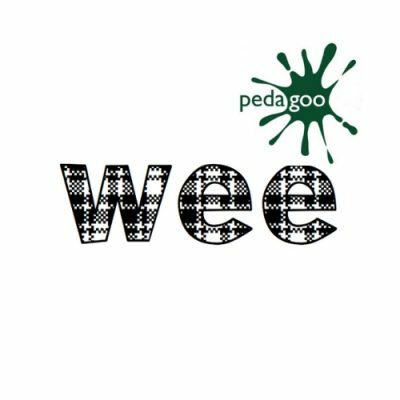 Welcome to Wee Pedagoo, the pocket-sized Pedagoo event that really packs a punch! One conversation. One hour. One huge difference. 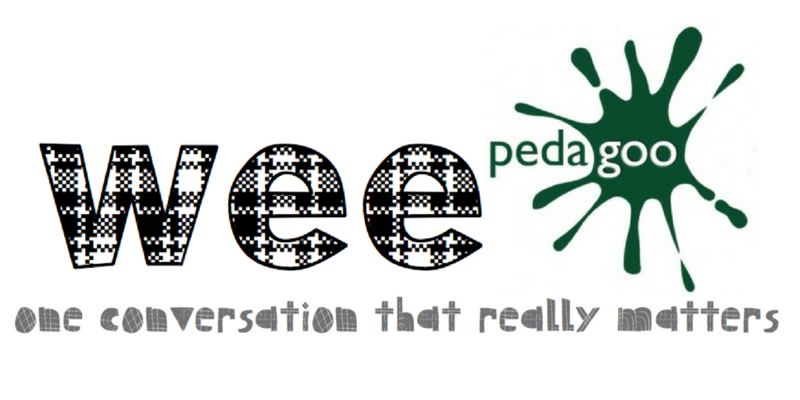 Wee Pedagoo is about one conversation that really matters. No name tags, no presenters, no PowerPoints. Just teachers talking. A Wee Pedagoo event is about carving out a wee space to talk about the big stuff. It’s really easy to organise (even if this is your first time planning an event), super-flexible and guaranteed to give teachers the feel-goods. You can have a Wee Pedagoo whenever and wherever teachers get together. You can set the topic for the conversation yourself or choose from our ever-growing ideas page full of #haveaweegoo questions to get teachers talking. You can have a Wee Pedagoo with as many or as few teachers as you want- it’s the quality of the conversation that matters. So what are you waiting for? Have a wee goo and sign up today! Great! Hop over to the Wee Pedagoo page to find out more and register your event now- then get ready for the sparks to fly! This entry was posted in Events, Pedagoo on March 5, 2017 by Susan Ward.